Whether on land or at sea, a secure energy supply is the basis for stable systems and processes. With more than 65 years of experience, JANSSEN ensures reliable operations in power plants, shipbuilding, industry, and public institutions. 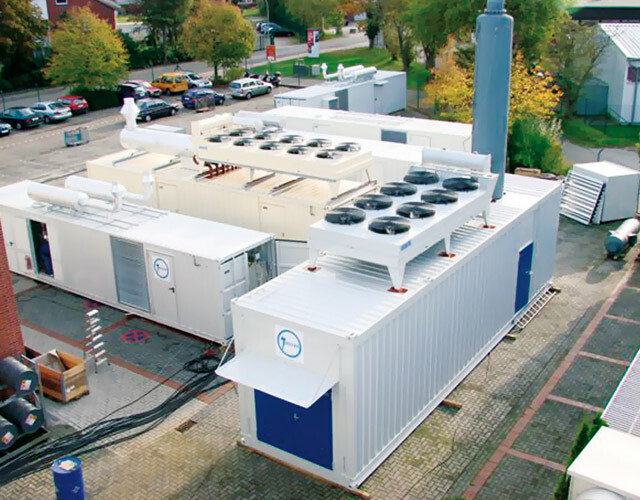 Our power systems can be a stand-alone container solution or integrated into an existing plant, and are designed to handle even extreme conditions, such as Antarctica and or the desert. JANSSEN ensures the reliable supply of electricity in large power plants, incineration plants, industrial plants and public facilities. You receive total solutions with motors, generators, fuel systems, exhaust systems, intake and exhaust air systems, and controls. They can be used in island mode, or parallel with your current network or that of your electricity supplier. 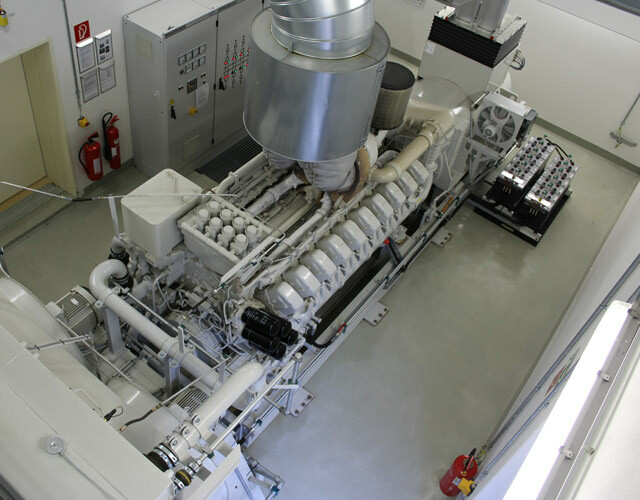 JANSSEN auxiliary equipment, emergency generators, and harbor of refuge units provide safe main power as well as emergency power on ships and platforms. In the planning and production of plants we adhere strictly to the regulations of the respective classification society. Our in-house manufacturing of controls ensures permanent reliability. Additional components, such as exhaust silencers and starting systems (pneumatic, hydraulic) are available as options. 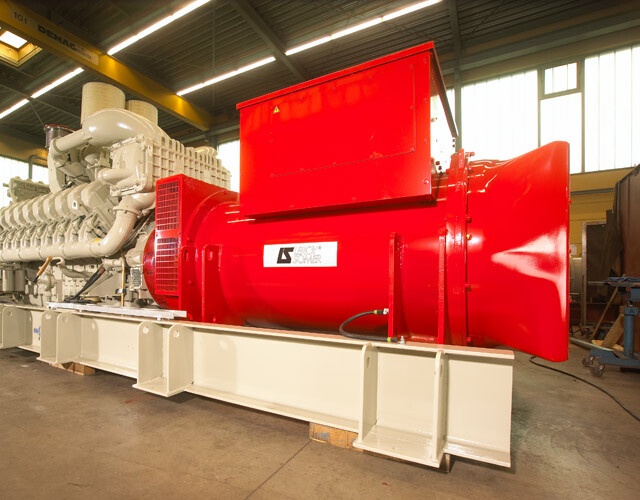 Together with long-term maintenance and spare parts service, you can be assured of a permanent, reliable, power supply. Restore operation after a blackout as quickly as possible. Black start capable plants can be up and running before normal operation of the power system is restored. This shortens downtime considerably. Safety problems, damages, and revenue losses are minimised. 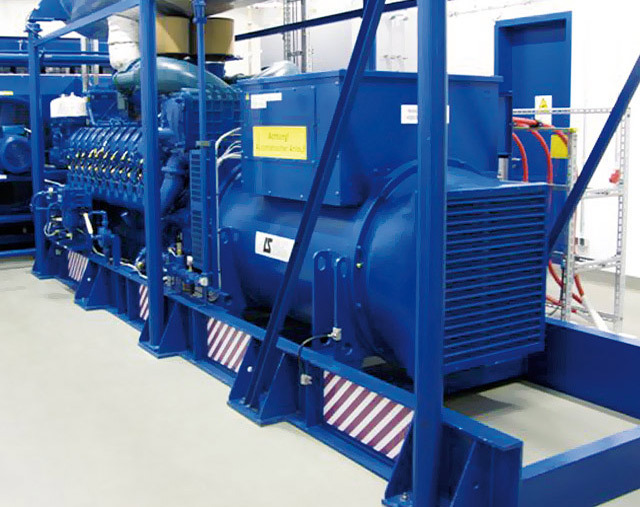 JANSSEN black start systems provide the required energy until independent power generation resumes. Any load fluctuations which occur are flexibly absorbed. JANSSEN-black start facilities are available as mobile, cost-efficient container solutions, or as individual systems that are integrated into the existing building environment. In both cases, the precise system integration ensures perfect interaction of all components.